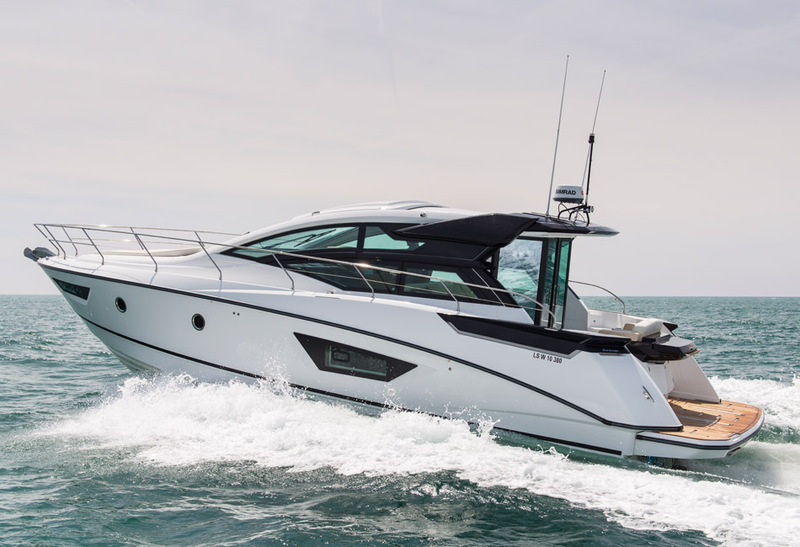 The latest in a generation of sport cruisers equipped with Air Step® technology, the Gran Turismo 46 is an elegantly-designed boat that boasts an authentic sporty feel. 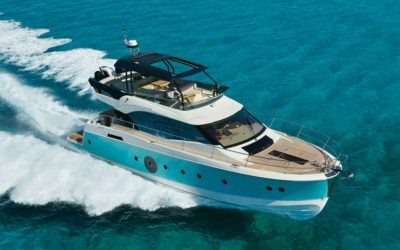 She is the perfect harmony between sportiness and elegance has cutting-edge layout designs and offers several options for customization. 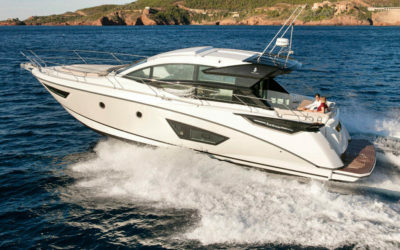 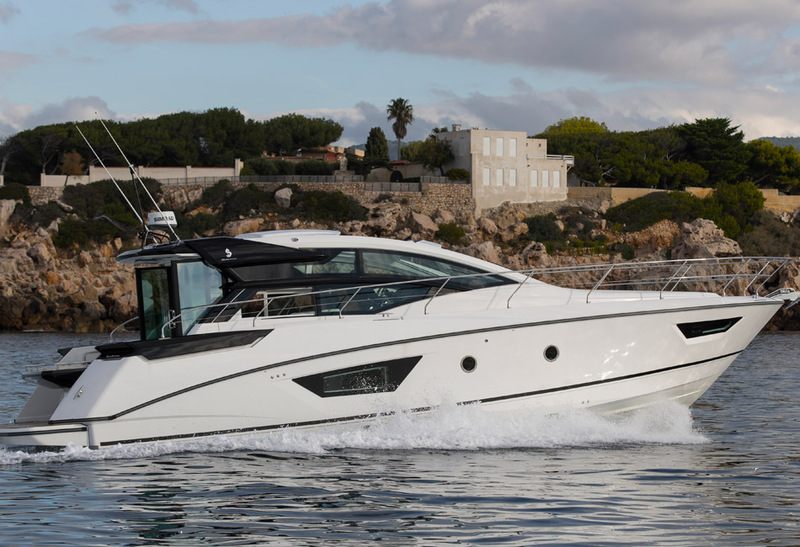 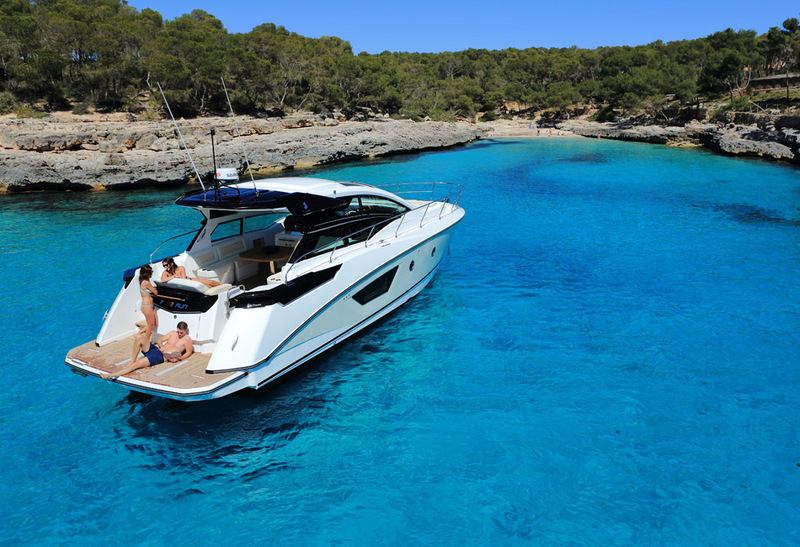 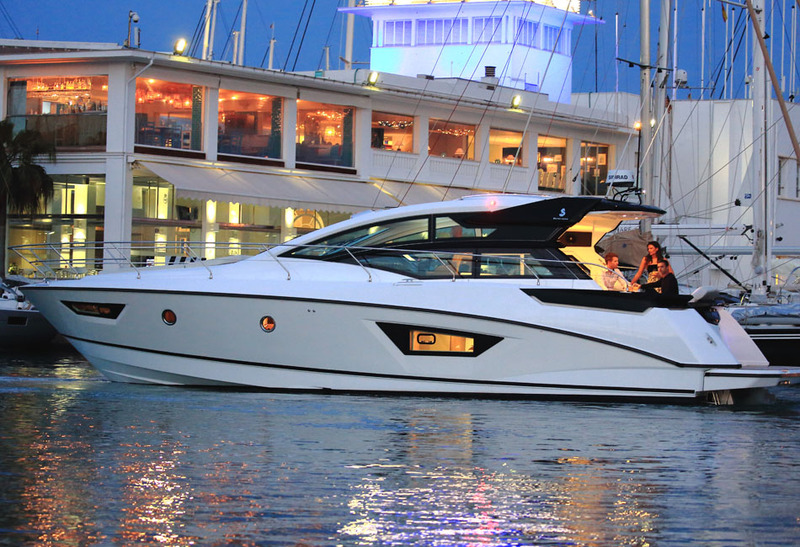 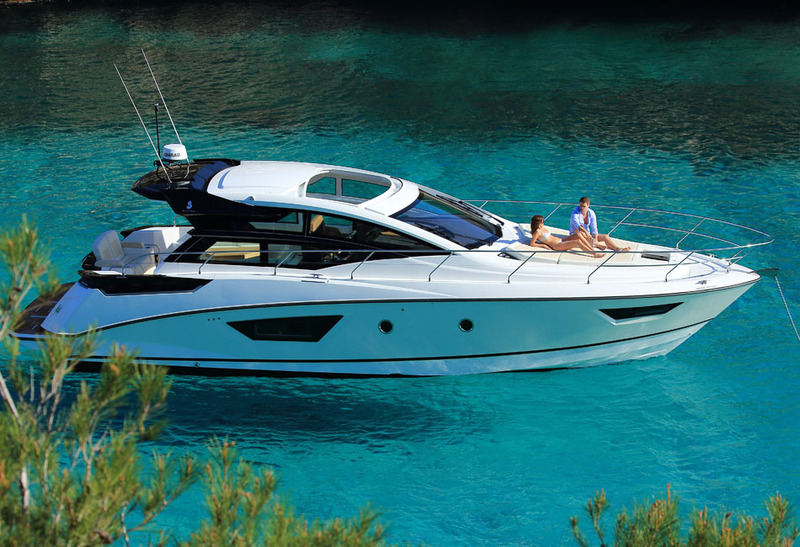 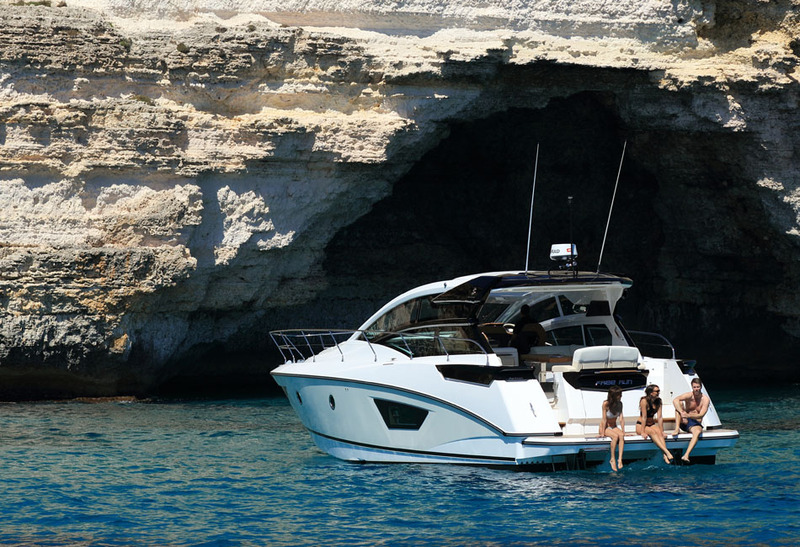 The Gran Turismo 46 is the latest in a generation of revolutionary planing hulls. 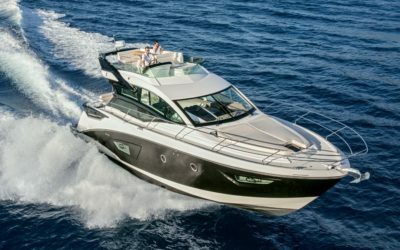 Her hardtop is completely open while wide glass doors protect the cockpit. 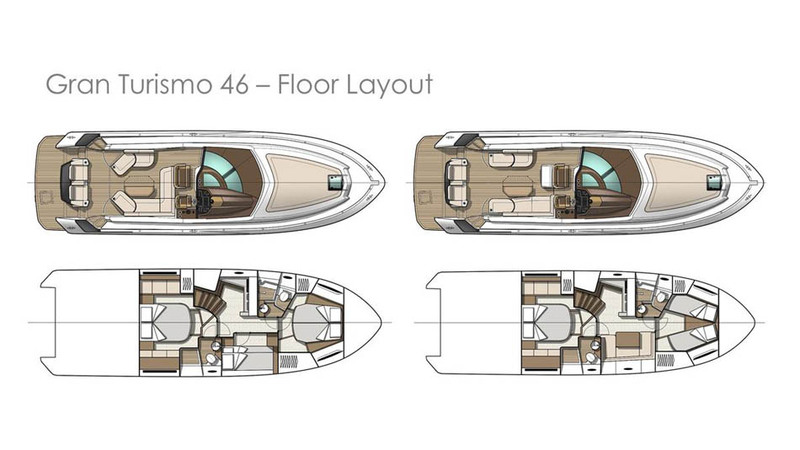 There are two deck plans available. 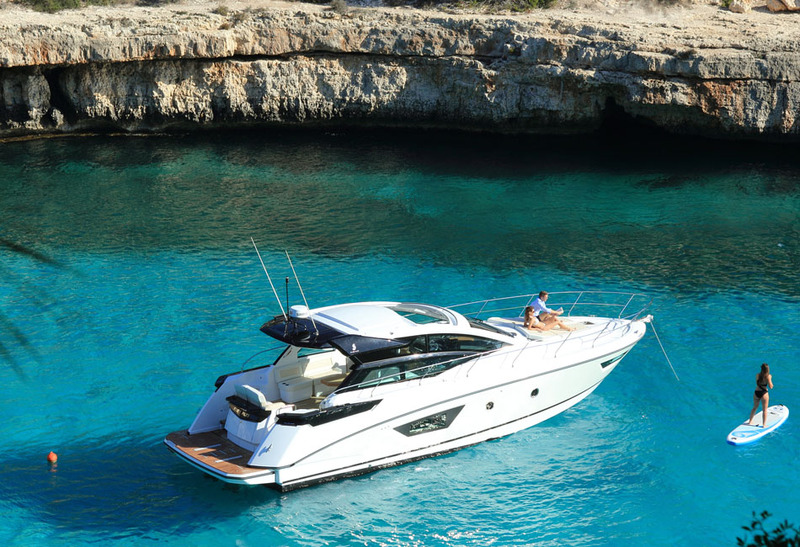 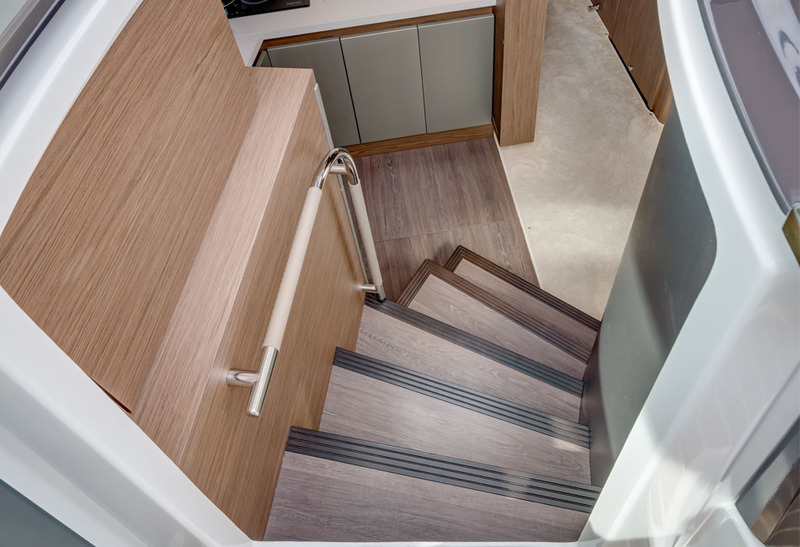 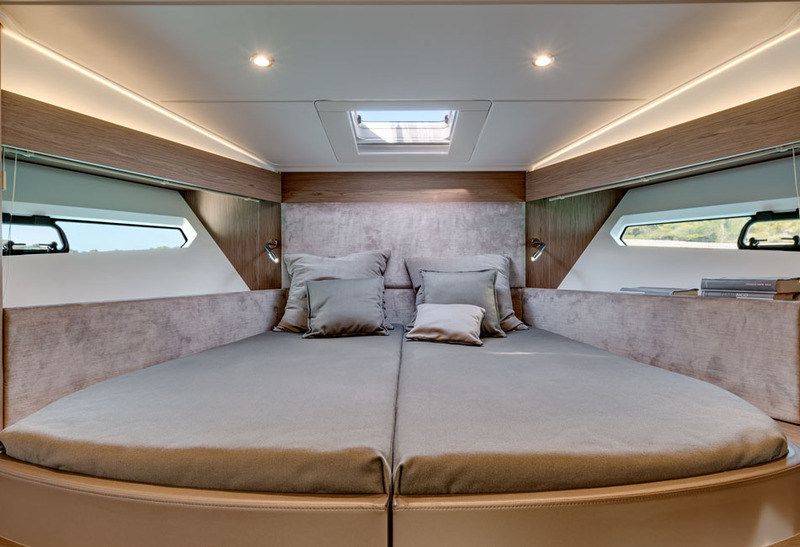 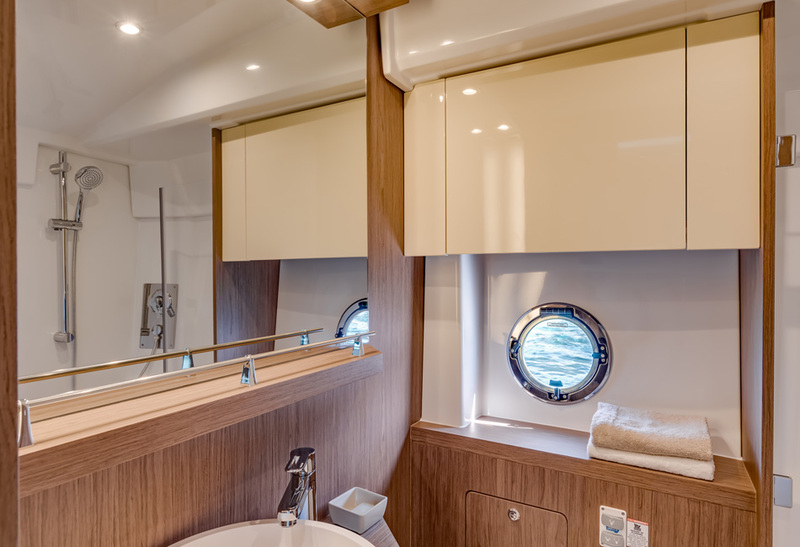 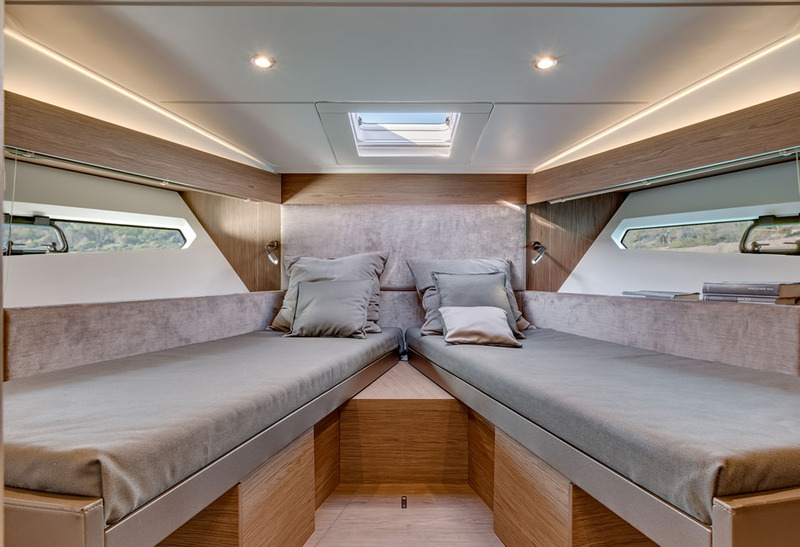 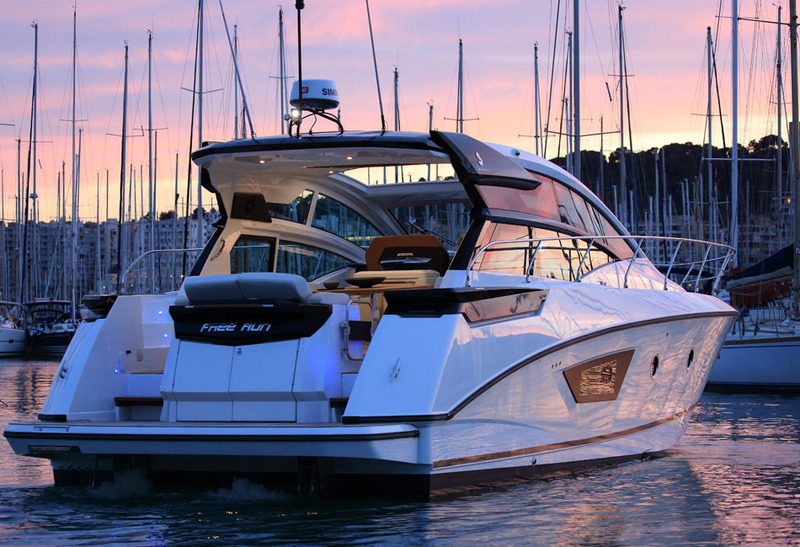 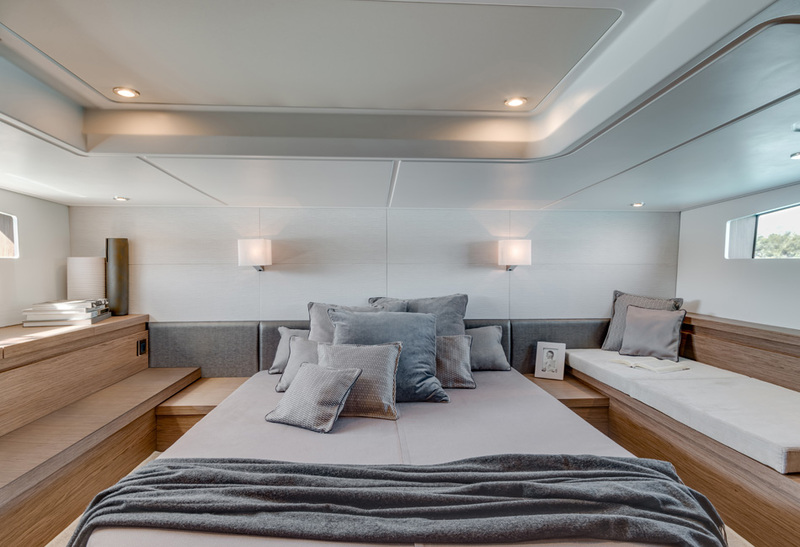 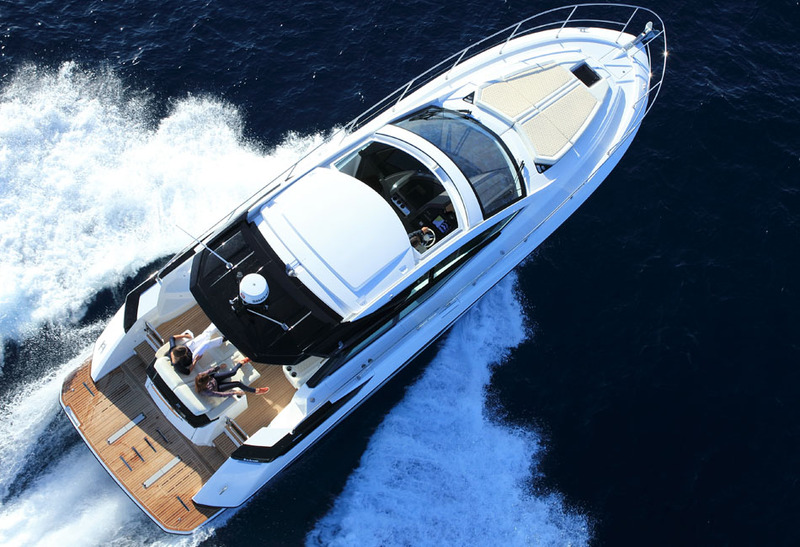 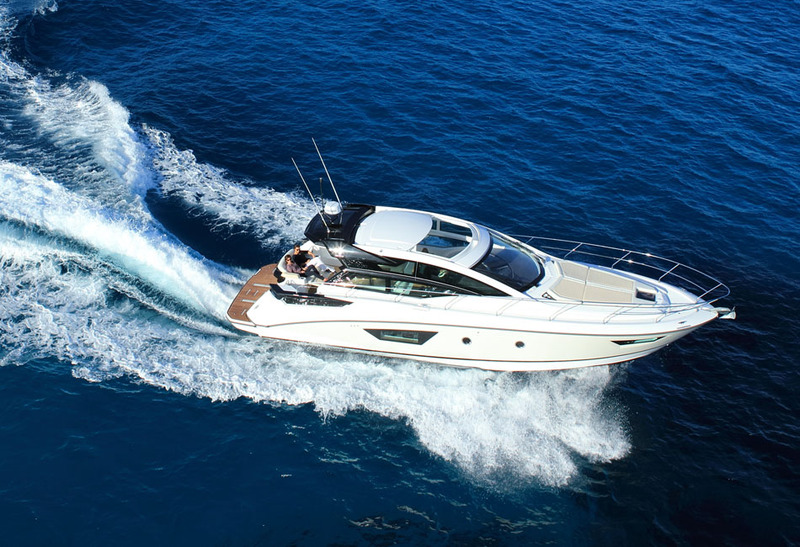 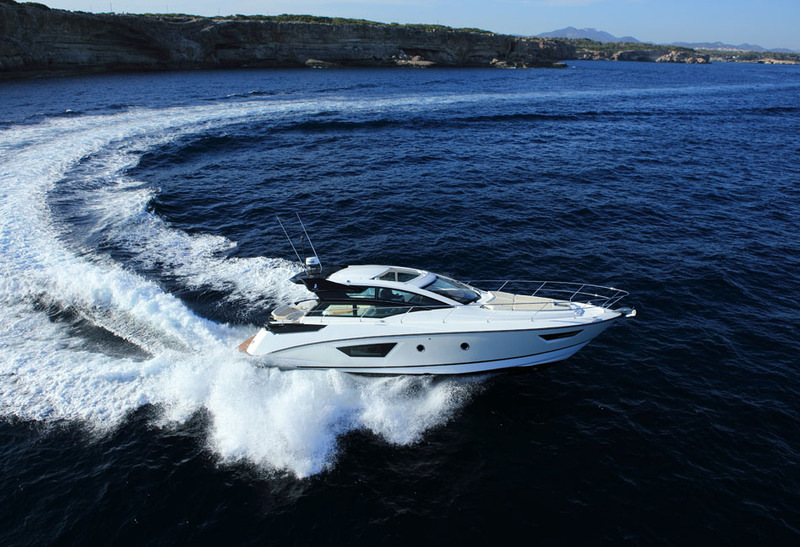 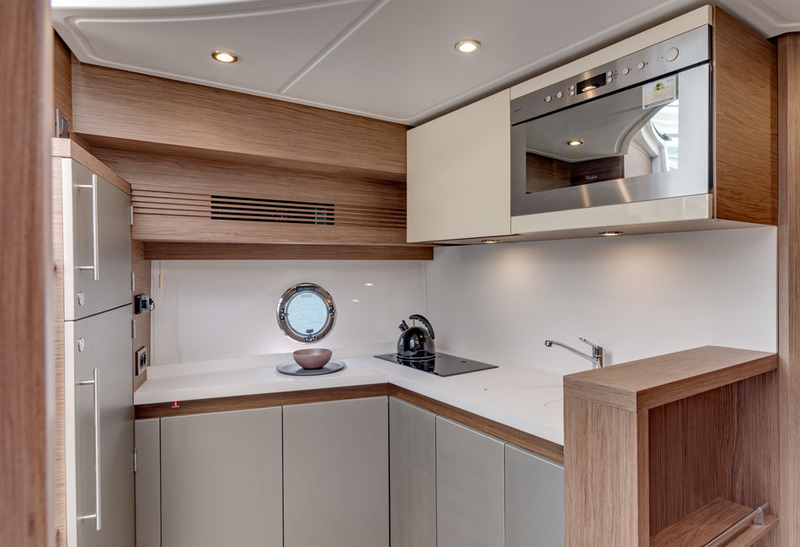 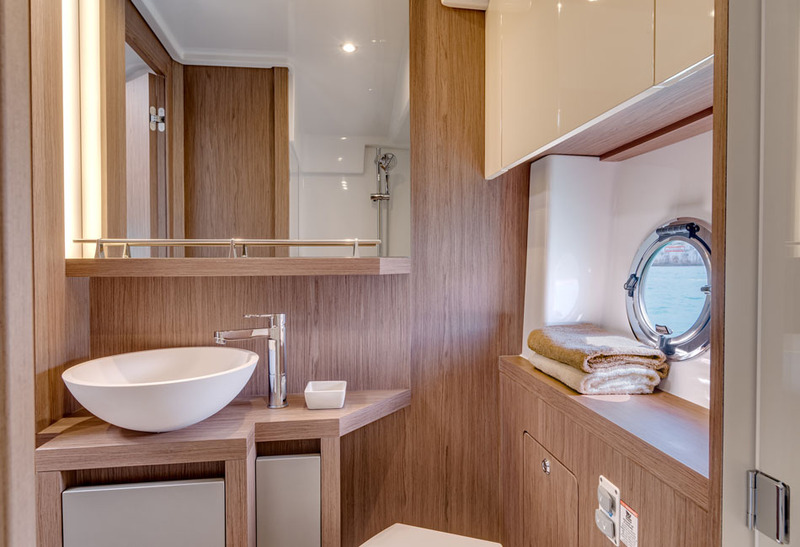 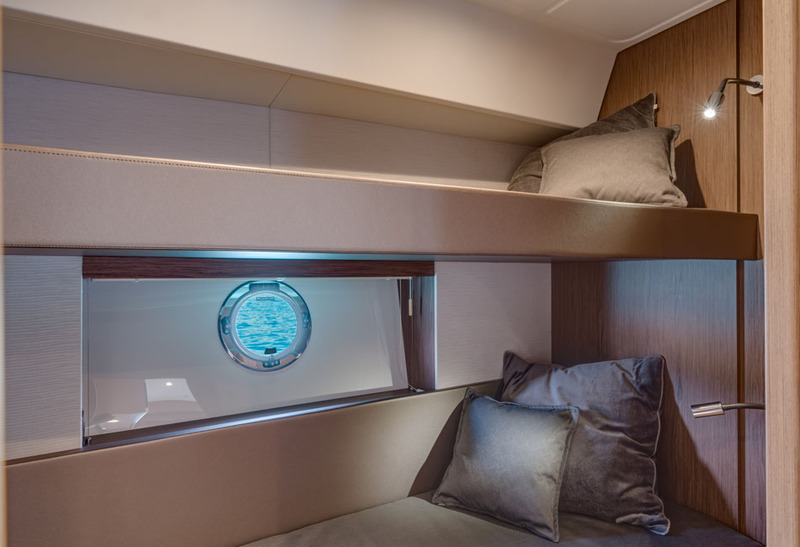 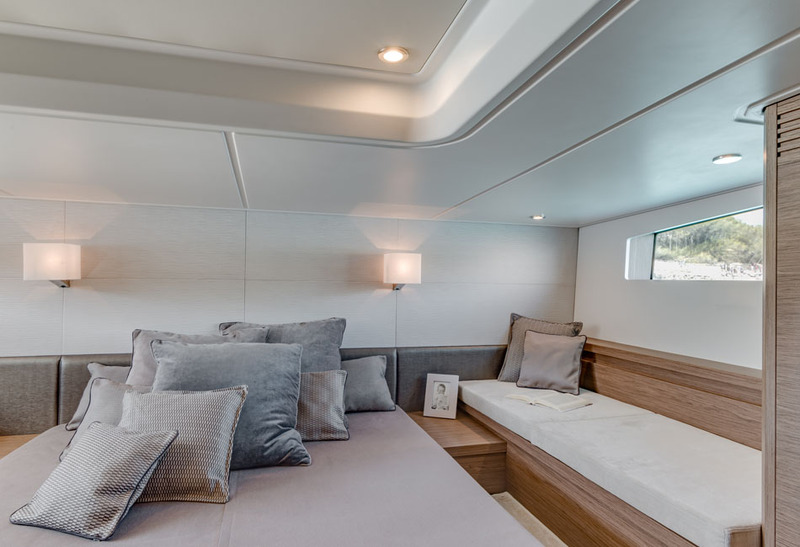 The Gran Turismo 46 features an owner’s suite with breathtaking views of the sea, and options of two or three cabin versions for total personalization. 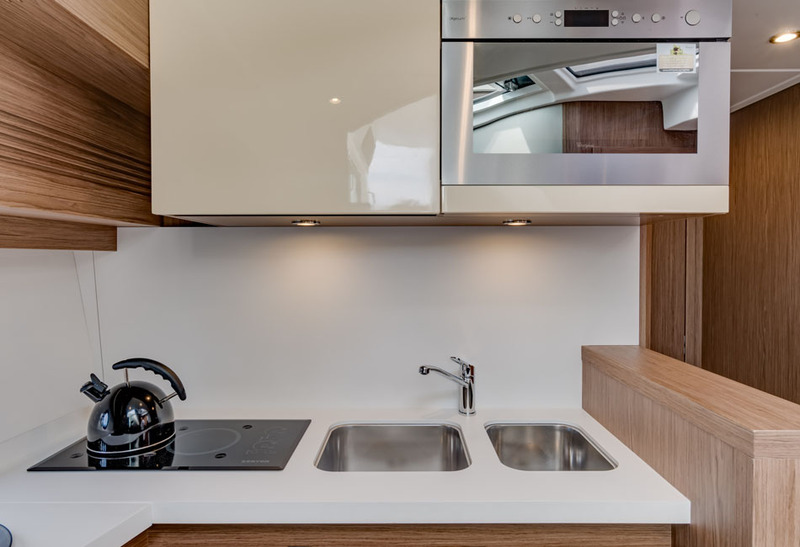 Living spaces emphasize well-being with elegance in every detail.